Living a healthy and happy life is important. We all know this. 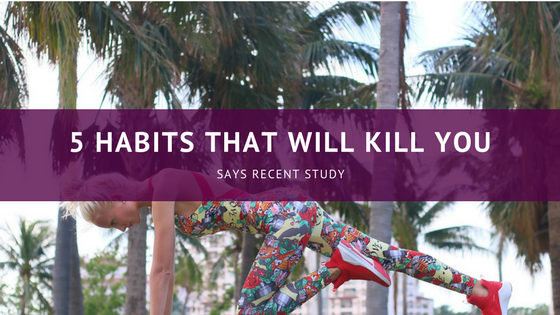 But a new study has identified five habits that will kill you earlier. Some of these habits are not that surprising. Let’s dive in. Did you know the average life expectancy for people in the United States ranks 26th in the world? With an average life expectancy of around 80 years old, you have a long life ahead of you. However, you might not if you are doing certain unhealthy daily habits. It is definitely challenging to be healthy sometimes in America. Stress, obesity, and other social and economic factors play a role in health and wellness. But by keeping a few main things in mind, you can live life to the fullest (literally). Research published in the medical journal Circulation last month found five lifestyle factors that are absolutely vital to extending your life expectancy. “Americans have a shorter life expectancy compared with residents of almost all other high-income countries. We aim to estimate the impact of lifestyle factors on premature mortality and life expectancy in the US population,” according to the study. The new study involved more than 78,000 women and over 44,000 men. The research data extends over 30 years. What did researchers find? The study found that women who implemented the above lifestyle factors lived 14 years longer. Men lived 12 years longer. What was the number one lifestyle factor that was found to be most important? Not smoking! Do you have health and wellness questions? Now you can ask a doctor free using our online Dr. Chat. You can access general physician doctors 24/7 and get the health questions you need answered in minutes. Simply click below and start chatting with a doctor today.